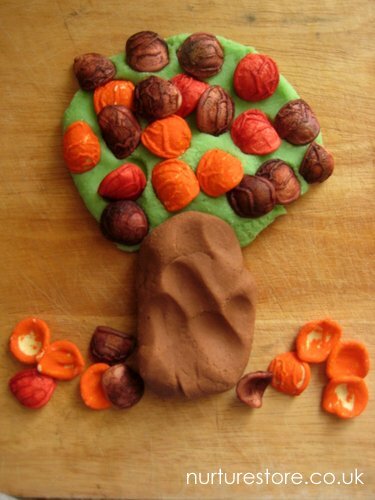 It’s wonderful for children to have their play inspired by nature and this autumn play dough recipe combines the colours of the season with lots of sensory textures – and lessons about the changing of the seasons. 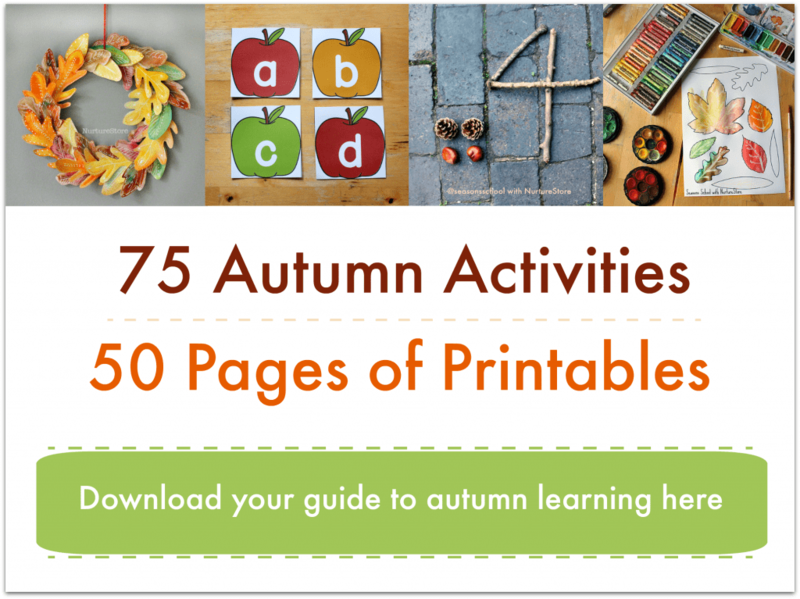 Here’s how to dye the pasta leaves and enjoy a seasonal sensory play idea. The pasta we used for our leaves is called oricchiette, which actually means ‘little ears’ but is a great shape for making leaves. We used the pasta uncooked, so it can be stored after playing and used many times again – maybe in some art work we’re planning. 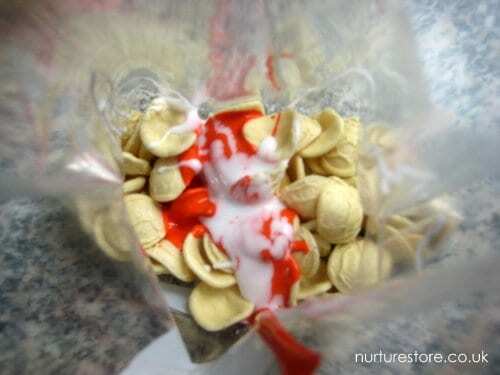 To dye the pasta we placed handfuls in separate zip-lock bags and then added in some colouring. 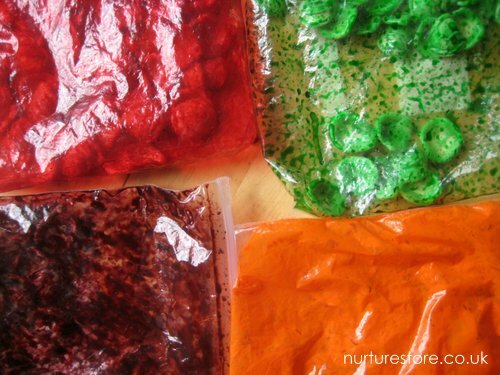 We tried food colouring in a few bags (mixing green and red to get a shade of brown) and paint in others. We were using water based craft/ poster paint, so added in some clear glue to help the paint adhere. Then it’s time to shake, shake, shake the pasta around in the bags until they’re all covered in the colours. Mess free – as all the paint is inside the bag. 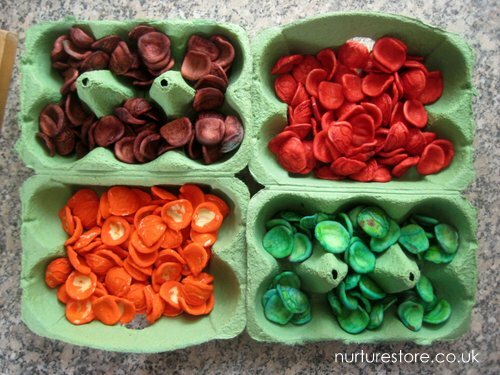 Once dried we put the coloured pasta in egg cartons to create our palette of autumn leaves, ready for play. 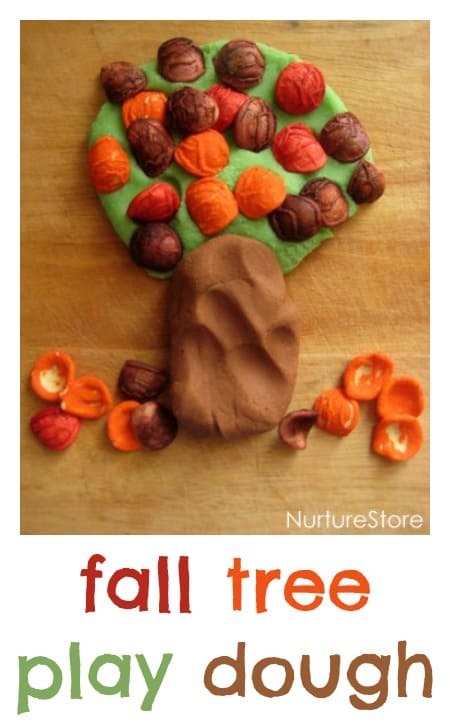 We used two different varieties of play dough to make our trees. 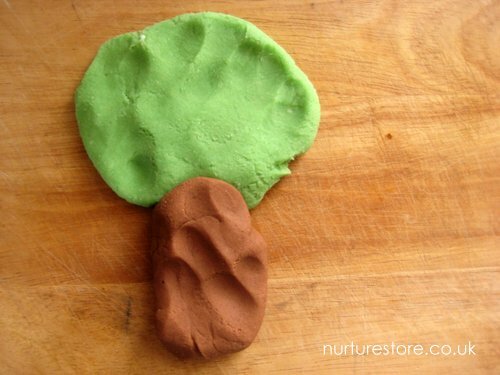 The green is made using this easy play dough recipe, with green food colouring added in the mix. The trunks were made using our easy chocolate playdough recipe. As we always make our own play dough it was nicely warm as the children began playing with it – lovely on a chilly autumn day. 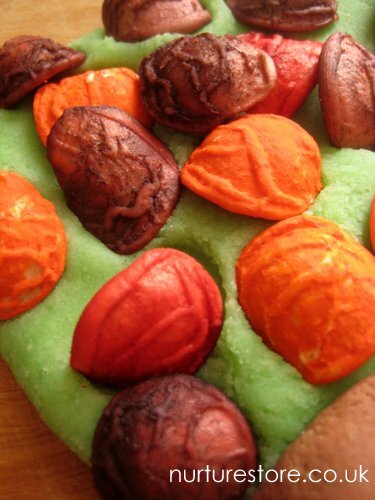 Play dough is a fantastic material for children to use – great for imaginations and great for fine motor skills, as they knead and shape the dough. The orecchiette pasta added some interesting textures to the play, and gave us lots of chat about nature and the season as the children changed their green leaves over to the colours of autumn. Great ideas! Chocolate playdough!?! Oh yeah…. It is really lovely, you are totally right – orecchiette makes goregous leaves. What fun! I haven’t dyed pasta in a long time. The tree looks wonderful.